This fearsome furball isn't going to take any crap when it comes to protecting his nuts! 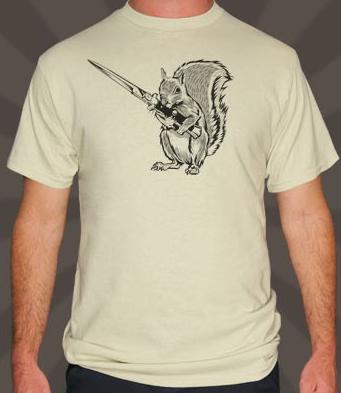 Trust me --- you don't want to get on the wrong side of a squirrel with a knife. This shirt is also available at an extremely reasonable price....$6 dollars!